True hands-free phone calls is only one touch away. 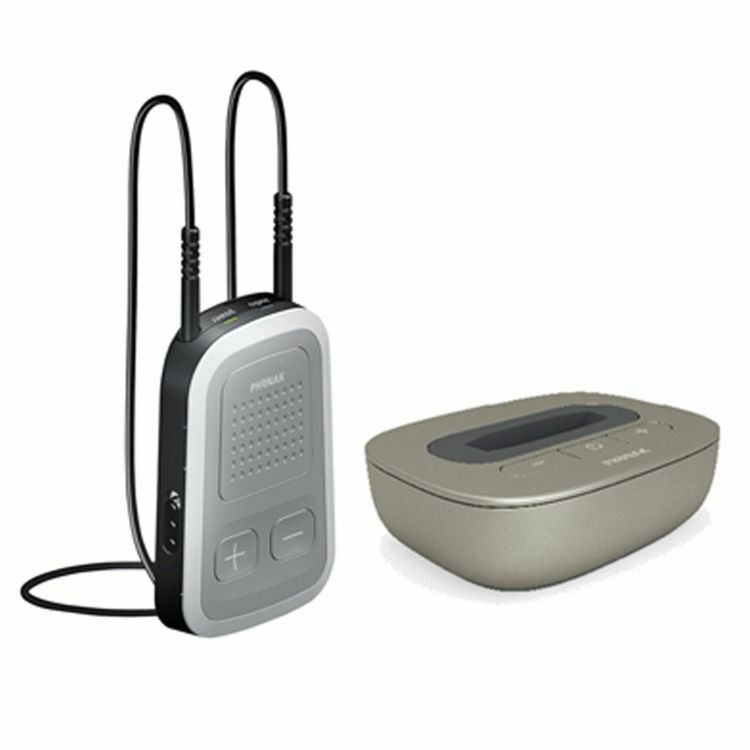 The Phonak Compilot II is a great addition to your Audeo B hearing aids. It pairs to any cell phone with a Bluetooth signal (which is basically every phone - even those old dumb phones work). 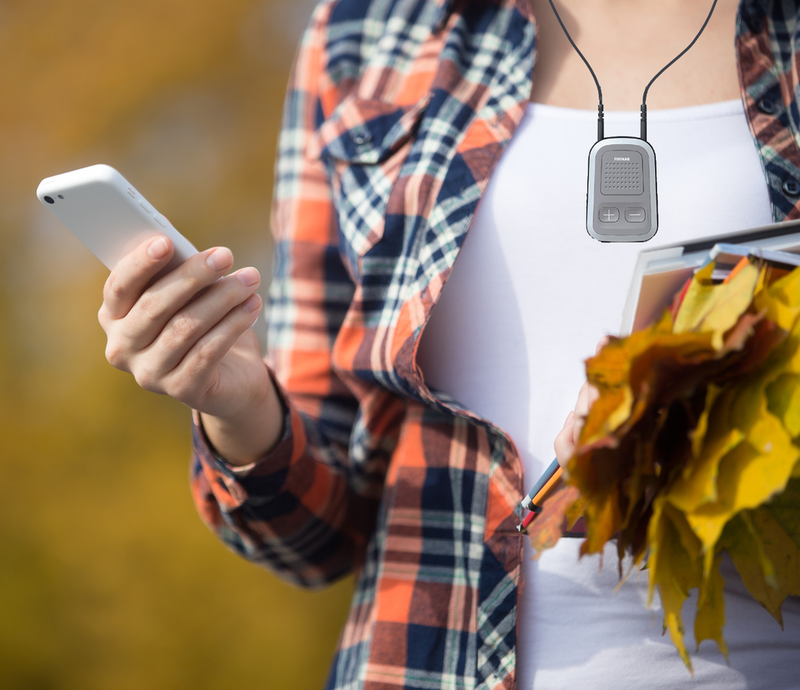 Once paired with your phone you put the Compilot around your neck like a necklace (most people wear it under their shirt), and stream phone calls and music until the cows come home. Seriously, you can stream all day and never run out of battery. If some one calls, you just push a button on the Compilot and it answers the call, directly into both hearing aids (leave your phone in your pocket). You can also use it to listen to music or audio books and if you get the optional TV link, you can stream your TV directly to your hearing aids as well. You can answer calls without taking the telephone out of your pocket. Even while listening to your TV, you can immediately accept calls without turning off the TV sound. It streams the telephone call into both ears, which makes it so much easier to hear and understand the conversation. Simply plug the TV Link into the back of your TV and pop the Compilot around your neck, and you're good to go. Now you can hear the TV at the perfect volume without distractions. You'll enjoy the ability to finally understand all the words again, and your significant other will enjoy the volume at a level that is comfortable for them.